It’s been just over 3 months since the end of our successful Kickstarter campaign for Voodoo! Today we’re very excited to say that we have some amazing updates coming up! 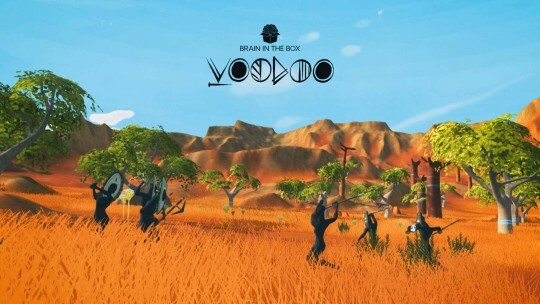 If you’re just learning about this project then you should know that Voodoo is a game project developed by Italian indie studio Brain in the Box. While it’s set in primal Africa, it is a multiplayer tribute to Shadow of the Colossus. We’ve made huge steps since revealing this project at Gamescom 2016 and we’re looking forward to inviting even more civilization builders into our community! Yes, some highly anticipated features have been added to Voodoo. Yes the gameplay has been strongly deepened from the closed-alpha available during the Kickstarter campaign… However, there’s one delight coming up for everybody to join in on! So stay tuned and get ready to be introduced into one of the most refreshing game worlds yet! Trust us, you don’t want to miss this update, so be sure to follow us on Twitter, Facebook and Steam so you don’t miss all this gaming goodness this Easter!